--Referral discounts - for each friend you refer who has a photo session with me, you get $15 in print credit to apply to your package. For every 5th referral, you get an additional $25 cash or credit. Sound like fun??? Keep reading . . .
--All packages, a la carte items, and other products would be regular price, but you can apply your reward credits from your referrals. --Each person you refer who makes an appointment will receive 10% off the package or products that they purchase if they give me your code. That’s a win-win situation. **Go to my website, www.jbentzphotography.com, and click on the “Senior Model Application” link to fill out and submit an online application. WHAT TO WEAR FOR YOUR SENIOR PHOTOS AND OTHER TIPS ON LOOKING GREAT! When deciding what to wear, you should always consider where your photos will be taken. If the background is going to be plain, such as studio shots, up against a fairly plain wall, or against any kind of background which will mostly be a solid color, you can wear prints, stripes, polka dots, and bright colors. If the background is going to be busy, such as many nature shots with trees, bushes, and flowers, you should wear something that is NOT busy. Solid bright colors are good. Wear colors that will contrast with your background, not blend in. If you are going to be in a grassy field, you should not wear a green dress or shirt. If you are going to be in the middle of a bunch of flowers, you should not wear a flowered dress or shirt. Wear clothes that are flattering to you and that make you feel good. Skirts shouldn’t be TOO short and shirts shouldn’t be TOO tight or too revealing. Wear shoes that look good with your outfit. As much as you might like YELLOW, it is a color which is not flattering to many skin tones. So if you don’t want your skin to look sick or dull, avoid yellow. Also, shades of beige and gray are so neutral that they often blend into the background and look dull. Wear colors that bring out the color in your eyes. For girls, choose simple jewelry. You want your jewelry to reflect your personality, but not to dominate the pictures. Make-up should be tasteful and flattering. Don’t try to overdo it - you want your pics to look natural. AVOID GLITTER at all costs - no glittery eye shadow, blush, or lip gloss. It might look great in everyday life, but in pictures, the light reflects off the glitter in a funny way and you might end up looking like a creature from outer space. It is often hard to re-touch, and it could ruin an otherwise lovely picture. For guys, if you need a haircut, get it at least a week before your photo session so it looks more natural. Bring at least one outfit that you wouldn’t mind getting dirty. You might be sitting or lying on the ground, in a bunch of leaves, in a tree, etc. Think about whether you might want to mix styles and settings. Interesting photos can be created by wearing dressy clothes in a grungy setting, or creating other unexpected effects. Wearing a suit on the railroad tracks, or having your drum set in the middle of a grassy area are effects that can result in unique photos. It is okay to bring a variety of outfits and change clothes as many times as you want. Just remember that each change takes time, and the more you change, the fewer pictures you will get in your session. It is helpful to bring someone along (mom or friend) who will carry the clothes and help you change. Have fun choosing your outfits and the special looks that you want to create. Use your imagination!! Do you want your senior portrait session to be fun and crazy? Do you want to have pics taken with your pets, your car, or other special items? Do you want to have a chance to get products that many photographers don’t offer? The 2014-15 Senior Portrait season is about to start. 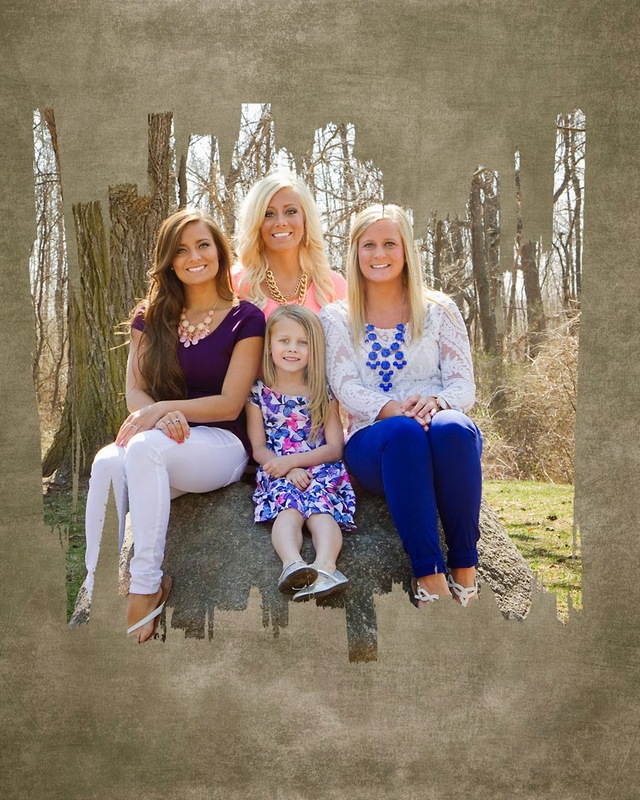 Many seniors like to have at least some of their pictures taken in the summer before their senior year. Some like to get pictures in different seasons, so they start in the summer, have more in the fall, maybe the winter (snow pics are fun! ), and more in the spring. Many seniors also like for me to take a few of their favorite pictures and make them into graduation invitations in the spring. Invitations come in several sizes, from those that your parents would send in the mail to smaller ones without envelopes that you can hand out to your friends at school. 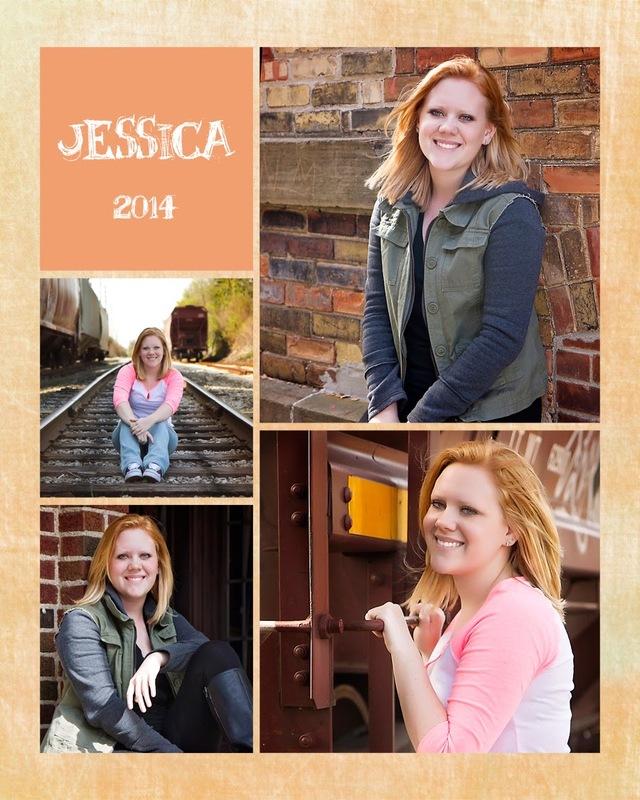 I also offer a couple different kinds of senior folios which hold anywhere from 6-12 pictures. These are nice to display at your graduation party. And of course there are regular photo prints, ranging from wallet size to large wall portraits. There are also many unique products, which will be explained later. With so much to choose from, there is something for everyone! It is possible to do some studio pics if you want, but most of the sessions are outdoors. There are several locations I like to use, or we can go to a location of your choice. The session fee, which I call the “Artistic Fee,” includes a pre-consultation with you and a parent where you get to view various products, find out about pricing, and make your session appointment. A 50% deposit is due at the consultation, and the remaining artistic fee is due at the session. Also included in the artistic fee are the time spent during the session, and all editing work. All photos are completely retouched and enhanced in various ways. All photos will be presented in color, as well as some in black and white or sepia. I will also show you some that have been enhanced with textures, background effects, or templates. The number in parentheses is the amount of the artistic fee which will go as a credit toward the package or products that you order. EXAMPLE: You have a 1 ½ hour session. You have paid a deposit of $100, so you owe $100 at the session. $35 of that will go toward your order, so if you order a $300 package, you will only pay $265 more. After I edit your pictures, which takes 2-3 weeks, you and a parent will come to my house for a chance to view your photos on the computer. You will also receive a flashdrive with a copyrighted version of all your pictures (they will contain a watermark.) We will discuss various products and the package, a la carte, or add-on items you might be interested in. Then within 3 weeks, you will choose your pictures and place your order. 50% of the order cost is due when you place the order, and the remainder, along with tax and shipping, will be due when your pictures come. Most orders should be ready in a week or two. 3) be a person who is outgoing and friendly, and interacts with a variety of other students in class, in sports, in activities, at work. 5) show other people your photos – a lot!!!! You would have a free half-hour session early in the summer to get a few model shots taken. Then you would receive some special surprises so you could share your pics with everyone you know. Later in the year, you would receive 50% off your regular photo session. All packages, a la carte items, and other products would be regular price, but you have a chance to earn credits for referrals. For each senior who makes an appointment with me and gives me your code, you will receive a $15 print credit toward your package. You will receive an additional $25 cash or credit for every 5th referral. If you have already purchased a package, you can use the credits to get free stuff. Also, each person you refer who makes an appointment will receive 10% off the package or products that they purchase if they give me your code. That’s a win-win situation. So – whether you want to be a senior model or just want some cool photos, contact j bentz photography. Jessica had pictures taken in the fall (earlier post) at a local park. She decided to have a few more taken this spring. She has a shorter hair style, and we took the pictures in a grungier setting, so they are very different from her fall pictures. Here are a few pictures from her latest session. 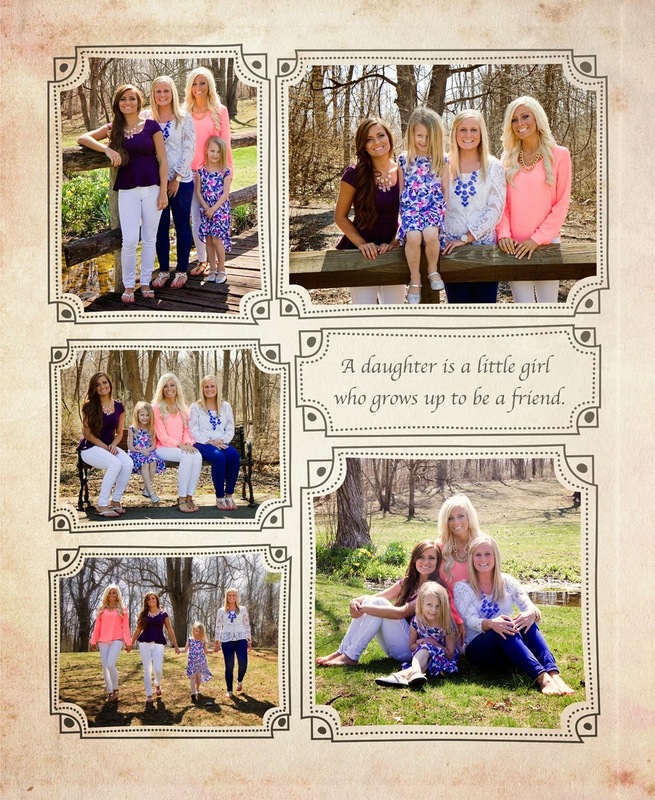 These three sisters decided that they wanted to give their mother some pictures for Mother's Day. So we did a photo session with them and the oldest sister's daughter. It was a sunny but chilly spring day, and there weren't many flowers blooming or leaves coming out on the trees yet, but we found some pretty spots anyway. They chose some pictures and are making a special surprise for their mom. How sweet is that?!! Here are a few pictures of these gorgeous girls. Their mother should be proud!